With more than 100 combinations of format and surface, our polystyrene cell culture plates help promote healthy cells and generate reliable results. Choose from a variety of sizes, with culture areas ranging from 25 cm2 to 500 cm2 and a selection of cell culture surface modifications to address your specific applications and cell types. Browse a full line of dishes with various surface treatment options to promote adherent, suspension, and 3D spheriod cell cultures. Also available in glass bottom for high quality imaging applications. Choose from round and flat-bottom tubes as well as conical tubes that offer a variety of sizes and features, including recyclable racks and ease-of-use designs for enhanced lab performance. Full range of Nunc Serological Pipettes and Serological Pipet Fillers to support you at each stage of discovery. 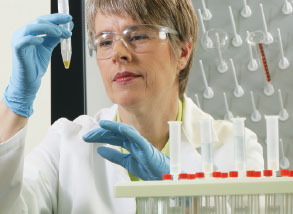 When applying sterile filtration techniques in your lab, we understand that the products you use are critical to reducing contamination and ensuring that important media components aren’t removed during the process. Available in a wide range of surfaces and formats, choose Nunc Lab-Tek and Lab-Tek II Chamber Slides which enable seeding, incubating, fixing and staining on a single slide. Perfect your cell culture processes at every stage, from research and process development to large-scale biomanufacturing.